Conversation on the lift today turned to comments about geezer skiers that are no longer appearing at our home ski area. A number of them have passed away and others have health problems that restrict their activity. It is sad to observe the passing of a generation of geezers that were frequent visitors to the local slopes. This sparked my musing about where is the next generation of geezer skiers. 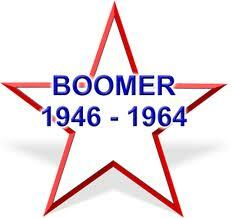 I guess we should expect the boomer generation to to become the geezer skiers of tomorrow. I am beginning to meet some of them on the lift and in the lodge. Some of them have retired due to the downturn in the economy and others have chosen to take advantage of their remaining years to enjoy the skiing passion. As ski areas plan for the future, I wonder if they shouldn't think about managing their ski areas to attract the boomer generation. Maybe there is an untapped market they should be courting. As Greek Peak expands their trails, it might be wise to concentrate on creating some cruising intermediate blues rather than going for the more challenging runs. I'm guessing that ski areas need to concentrate on both ends of the age demographic. Encourage the youth and nurture the geezers and geezers in training.